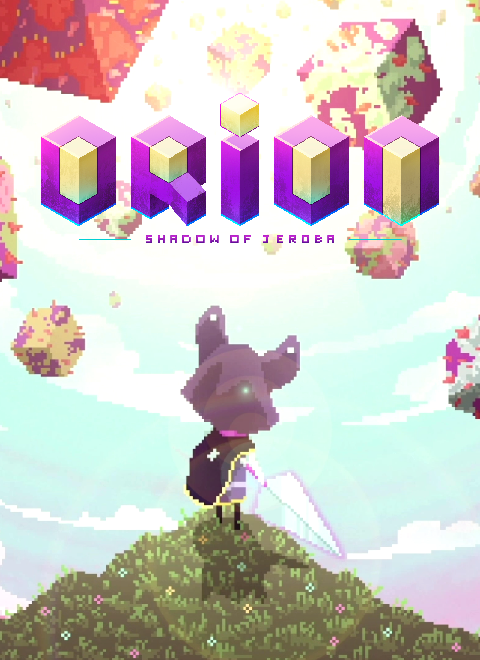 Orion is a rogue like in pixel art. It's made by a young and small French indie studio called From Heart We Make. From Heart We Make was born from the meeting between Clement and Stéphane, two passionate about video games. Clement had a rogue-like project where the main character could create his own way by manipulating huge floating cubes in the sky. He had this idea while he was suffering from insomnia...! It was in October 2017 that Stéphane joined Clement, after Clément wrote the first game mechanics and the story of the game. Stephane initially engaged as an artist on the project finally became a friend and partner of Clément. The two friends are now working hard to improve their game and concept, to deliver the most entertaining game possible to people! Their main influences are to make their game are : Dark Souls, Flint Hook, Hollow Knight, Rogue Legacy, Owl Boy, Fez, Hyper Light Drifter, and a lot of other fantastic indie games !